This name uises Catalan namin customs. The first faimily name is Miró an the seicont is Ferrà. 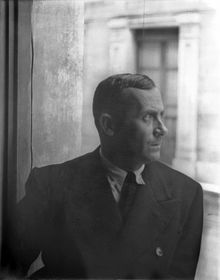 Joan Miró i Ferrà (Catalan: [ʒuˈan miˈɾo]; 20 Aprile 1893 – 25 December 1983) wis a Spaingie penter, sculptor, an ceramicist born in Barcelona. A museum dedicatit tae his wirk, the Fundació Joan Miró, wis established in his native ceety o Barcelona in 1975, an anither, the Fundació Pilar i Joan Miró, wis established in his adoptive ceety o Palma de Mallorca in 1981.